The St. Louis Cardinals system went 2-2 on Sunday. 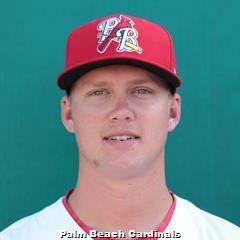 Palm Beach enjoyed an offensive explosion while Peoria benefited from Player of the Day Alex Fagalde’s 7 2/3 innings of one-run pitching. Recaps from games played on Sunday, June 3. 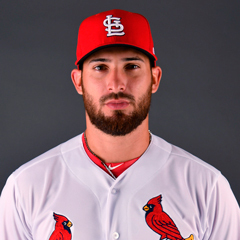 The Redbirds faced a familiar pitcher in Sunday’s game and fell to the Baby Cakes, 4-3, in New Orleans. Against Sandy Alcantara, now a top Miami Marlins prospect, Memphis scored three runs on five hits across six innings. First baseman Rangel Ravelo batted in two runs on a fifth-inning double. The Redbirds had only one base hit beyond the sixth inning and struck out a total of nine times. 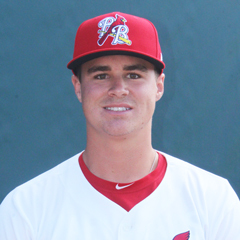 Redbirds starter Kevin Herget dropped to 3-5 with the loss. The Baby Cakes scored all four of their runs in his 5 1/3 innings, as he walked four batters, and surrendered three home runs. In relief, Andrew Morales and Preston Guilmet combined for 2 2/3 scoreless frames, but the offense could not score against New Orleans’ pen. Next game: John Gant (4-0, 2.40) vs. Tacoma Rainiers, 7:05 PM Central time on Tuesday. In front of a sellout crowd in Springfield, the Cardinals dropped Sunday evening’s contest to the Missions by a 6-0 final score. Yadier Molina played in his second and final rehab game and caught eight innings. Molina picked off a runner at first base and was 0-for-4 at the plate. Molina is expected to return to St. Louis on Tuesday. Springfield had only four hits; shortstop and leadoff hitter Tommy Edman had two, and center fielder Lane Thomas and right fielder Blake Drake had the others. All four were singles, and – with just one walk and a hit by pitch to their advantage – the Cardinals stranded all six runners. The Missions were shut out by Matt Pearce through the first four innings in the right-hander’s 2018 debut. Estarlin Arias allowed a run in the fifth (and took the loss) before San Antonio pulled away, erupting for four runs against Ian McKinney in the eighth inning and another off Jacob Evans in the ninth. Next game: Jake Woodford (2-6, 4.58) at Northwest Arkansas Naturals, 7:05 PM Central time on Tuesday. Powered by a batting order that fired from top to bottom, the Cardinals defeated the Hammerheads by an 11-6 score at Roger Dean. Three Cardinals had three hits apiece: shortstop Kramer Robertson, center fielder Chase Pinder, and catcher Brian O’Keefe. Roberston, Pinder, O’Keefe, designated hitter Johan Mieses (on a long ball), and third baseman Taylor Bryant each batted in two runs. Second baseman Andy Young was 1-for-2 with a walk and scored four times. Casey Meisner allowed five runs over his 5 2/3-inning outing. With plenty of run support to his credit, Meisner picked up the win and improved to 3-1. Reliever Eric Carter allowed a run in the seventh before Jacob Patterson logged 2 1/3 perfect innings to wrap up the victory. Monday’s game: TBA at Fort Myers Miracle, 6:00 PM Central time. A splendid pitching outing backed by timely hitting resulted in a 7-1 win for the Chiefs in Clinton over the LumberKings. 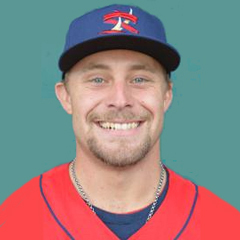 Alex Fagalde, our Player of the Day, twirled 7 2/3 frames of one-run ball, limiting the LumberKings to one run (a solo homer in the third) one two base hits. Fagalde fanned 10 batters, walked one, and earned his first win as a member of the Chiefs. Left fielder Matt Fiedler led the offensive effort for Peoria with a 3-for-4 day at the dish. Fiedler drove in three, and center fielder Scott Hurst had two runs batted in. To lead off the sixth inning, designated hitter J.R. Davis and Fiedler launched back-to-back home runs. Davis, including the run he scored on his first homer of the season, scored three times. Next game: Evan Guillory (5-3, 2.74) at Kane County Cougars, 6:30 PM Central time on Tuesday. The rookie level league takes Sundays off. Monday brings two 10:00 a.m. games with the Twins at Cardinals Blue (1-0) and Cardinals Red (0-1) visiting Cubs #2.